Home » Posts » How to treat Gingivitis? Gingivitis or gum disease is a rather common condition that affects the gums and bone tissue of the mouth. 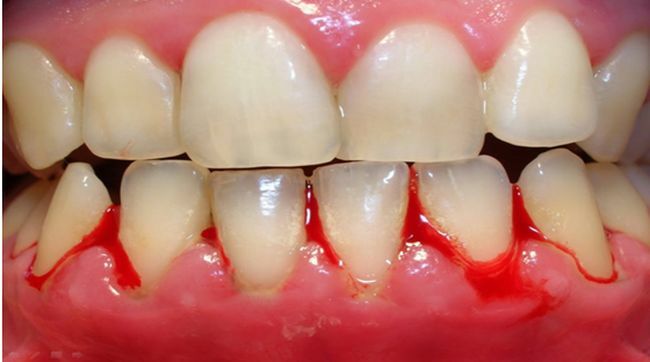 It’s basically an infection of the gum tissue and one of the first symptoms is bleeding when you brush your teeth. 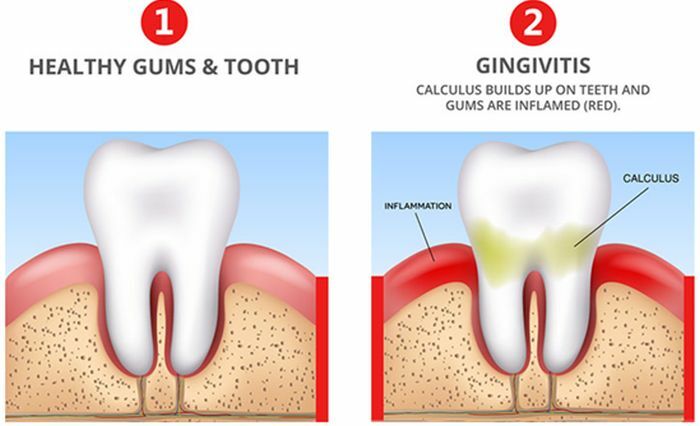 When it only affects the gums it’s called gingivitis, but once it affects the bone tissue it’s known as periodontitis, and it is more serious since it can cause damage to the bone structure and lead to tooth loss. Both conditions, gingivitis, and periodontitis, can raise your risk of other diseases such as osteoporosis, diabetes, heart disease, pneumonia, and even cancer. It’s very important to treat them as soon as possible. Swollen and red gums: this is one of the first signs that you will notice and it is a definite red flag. They probably will tender and bleed easily when you brush your teeth or you floss. Bad breath: remember that your mouth is home to a huge amount of bacteria. Some of that bacteria is good for you and some of it, not so much. But they all feed on a plaque, so if you have lots of plaque, the bacteria will have a feast, as a result, they will release certain toxins that can irritate the tissues and as a bonus, they have a bad smell. Gums getting smaller: if your bones start to break down, the gums go along with it, separating from the tooth and pulling back. This is actually called receding gums and it is a big sign of trouble. Sensitive teeth: this goes hand in hand with receding gums since the dentin becomes exposed. Dentin is very sensitive, so things like cold foods and beverages can cause pain when ingested. Deep cleaning: first things first; a careful, deep cleaning of the teeth is the first line of treatment. This includes removing tartar, both above and below the gum line through a procedure called scaling and also smoothing out the surface of the root of your teeth, or root planning, so that the gums can easily reattach themselves to the tooth. Medication: in some cases, the dentist might prescribe some medication to help deal with gingivitis. Things like an antibiotic gel to apply on your gum pockets after a cleaning, enzyme suppressants, and oral antibiotic if the infection is severe. Surgery: sometimes the problem is so severe that surgery to help fix the damaged tissues is needed. Procedures like gum grafting; where tissue from another part of your mouth is used to cover exposed roots. Also, flap surgery is sometimes used; where the gum is lifted so that the dentist can remove tartar that is too deep to reach through scaling or root planing. It’s important to keep in mind that the best option for gingivitis is to prevent it altogether, by having a good oral hygiene routine and visiting your dentist at least twice a year for regular cleaning sessions.